The overall interest of our research program is in translational cancer therapeutics, with a major emphasis on integrating high throughput genomics and proteomics approaches for biomarker discovery and classification for better utility in the molecular pharmacology of cancer. Dr. Daoud is leading a multidisciplinary team studying the biological basis for racial disparity in liver cancer outcomes in African Americans versus Caucasian Americans. 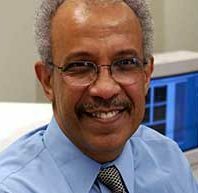 Using liver cancer tissues from the Kansas University Tissue Bank, and in collaboration with a research team at Harvard Medical School, Daoud and his collaborators have identified 32 proteins – out of 787 quantified – show enormous differences between the two races, meaning a difference in disease progression, disease pathway and/or disease response to treatment. The team has targeted four of those proteins for closer study and will increase the size of its patient base. The proteins under study could represent part of the signaling pathway(s) of the disease etiology. The team will present this pilot study at the American Association for Cancer Research annual meeting in April 2013. Redkar A, Mixter P, Daoud SS. Implications of p53 in growth arrest and apoptosis on combined treatment of human mammary epithelial cells with topotecan and UCN-01. J. Exp. Ther Oncol 4: 213-222, 2004. Dillon ST, Bhasin MK, Feng X, Koh DW, Daoud SS. Quantitative proteomic analysis in HCV-induced HCC reveals sets of proteins with potential significance for racial disparity. Journal of Translational Medicine 11:239, 2013.